I wanted to read this as I’ve had Brackston’s previous novels as audiobooks. I quite enjoyed The Witch’s Daughter, but was less enamoured by The Winter Witch. 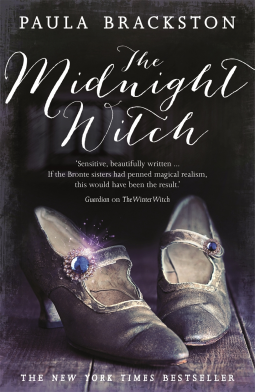 However, when I’m in the mood I like my witchcraft/ magical themed stories and so wanted to give the author another go. Lady Lilith becomes Head Witch of the Lazarus Covern on the death of her father. Not only is she stunningly beautiful, rich and engaged to an equally gorgeous and talented son of an earl, she’s a powerful neocromancer. Romantic affairs and sinister witchy complications affect her otherwise perfect life. Sadly, this one didn’t work for me. I didn’t like or care for any of the characters, Lilith in particular was just irritating. The whole point of her covern is the big secret she has protect at all cost and then she tells the rather random guy that she suddenly decides she loves. I struggled to finish the book, but I did felt I had to give it a chance to grown on me, unfortunately it didn’t. Not a lot actually happens, the whole magical aspect was unimpressive and by the end I didn’t really care. Sorry, just not for me. Although I did like the cover! Thanks to the publishers and netgalley for the chance to try it.